"Sure, I can drive. I've only had a couple drinks." "I'll only be driving a few miles. I'll be fine." Have you ever heard these types of comments while hosting a party? Do you entertain during the holidays or other times throughout the year? If so, you need to know your responsibilities. If you entertain guests and serve alcohol, you're considered a ‘social host.' That means you can be held legally responsible if you serve alcohol to a person under the age of 21, and that person injures or kills someone while driving under the influence. 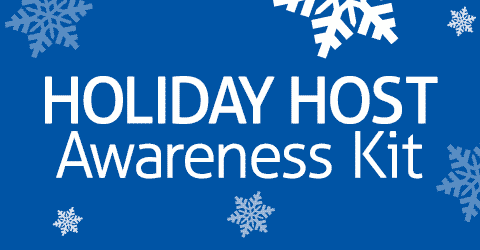 Even if your guests are adults and they're responsible for their own actions, it's still important to know the laws, understand the facts about drunk driving accidents, and consider ways to help keep your friends and family safe year-round. 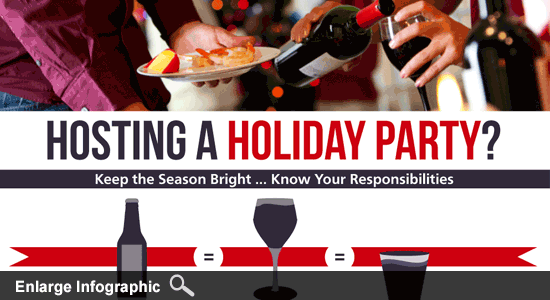 We've compiled a list of resources to help you be a responsible party host. In 2011, 32 alcohol-related crashes occurred in Pennsylvania every day. At Edgar Snyder & Associates, we don't want you or a loved one to become a drunk driving statistic. Serve non-alcoholic beverages or holiday "mocktails" for designated drivers and younger guests. You can view our recipes below. Encourage all party guests to plan ahead and have a designated driver for the evening. Stop serving alcohol after a couple of hours and serve non-alcoholic beverages instead. Limit your guest list to people you know and those who act and drink responsibly. Hire a bartender instead of having guests serve themselves. Consider hosting a party at a bar or restaurant. This places responsibility on trained servers rather than you. Keep cab company numbers by your phone for guests who shouldn't drive. Download our list of local cab companies. Insist guests sleep at your home if they appear intoxicated. We encourage you to use these resources for your gatherings and share them with your family and friends. At Edgar Snyder & Associates, we've seen lives ruined and families ripped apart due to drunk driving accidents. That's why drunk driving education is one of our largest community service efforts. It's our hope that we can help reduce the number of drunk driving tragedies. Unfortunately, accidents involving alcohol do still occur. If you, or someone you love, become a victim of drunk driving, call our offices for help at 1-866-943-3427. Or, you can fill out the form at the top right of this webpage for a no obligation, free legal consultation. We're here around the clock to help if you ever need legal advice.